Stand back! There's a hurricane coming through! 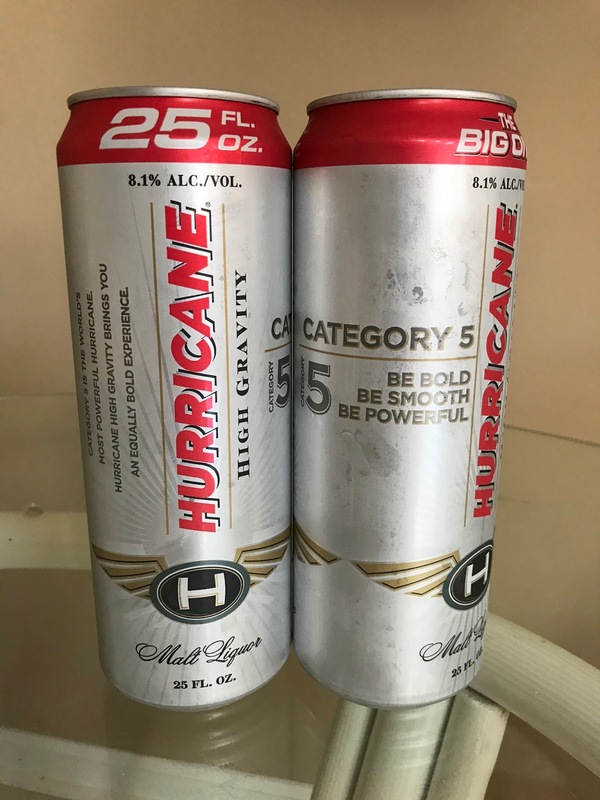 We are accustomed to expect the worst when it comes to Hurricanes, especially this year after dealing with the aftermath of Hurricanes Harvey, Irma, and Maria, so I think we can all agree that there's only one Hurricane that is worthy of our praise, and that is Hurricane High Gravity Lager Malt Liquor! 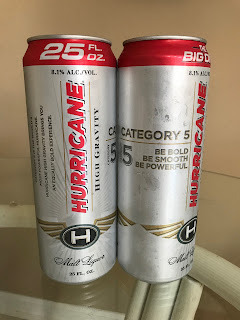 "Category 5 is the world's most powerful hurricane. 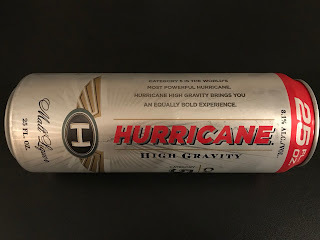 Hurricane High Gravity brings you and equally bold experience." Are you ready to get rocked by a hurricane? 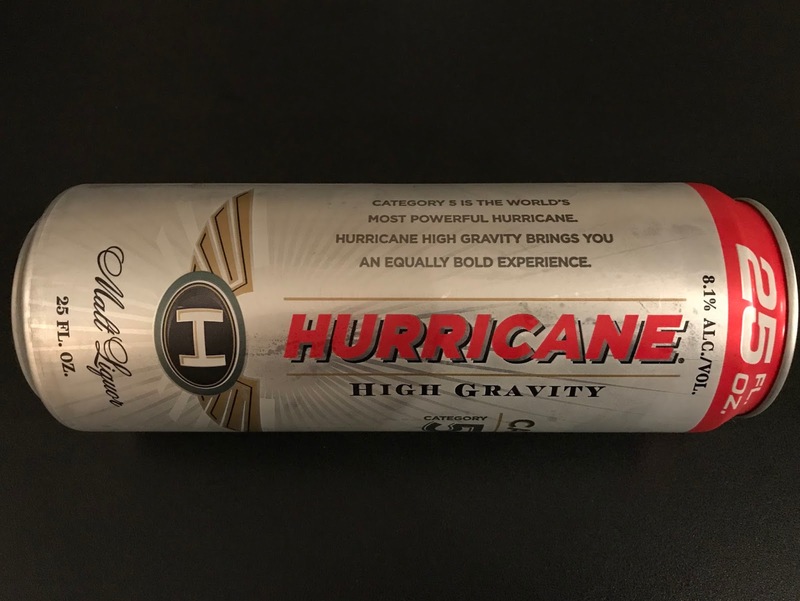 Hurricane High Gravity comes in at 8.1% ABV. 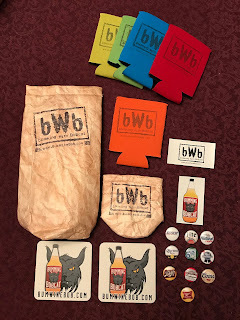 and was first introduced by Anheuser-Busch in 2005. I have been searching for the Hurricane for many years, so I can't tell you how excited I was when I saw the 25oz cans (THE BIG ONE) of Hurricane High Gravity sitting on the shelf during my trip to the Outlet Liquors while on vacation earlier this month. 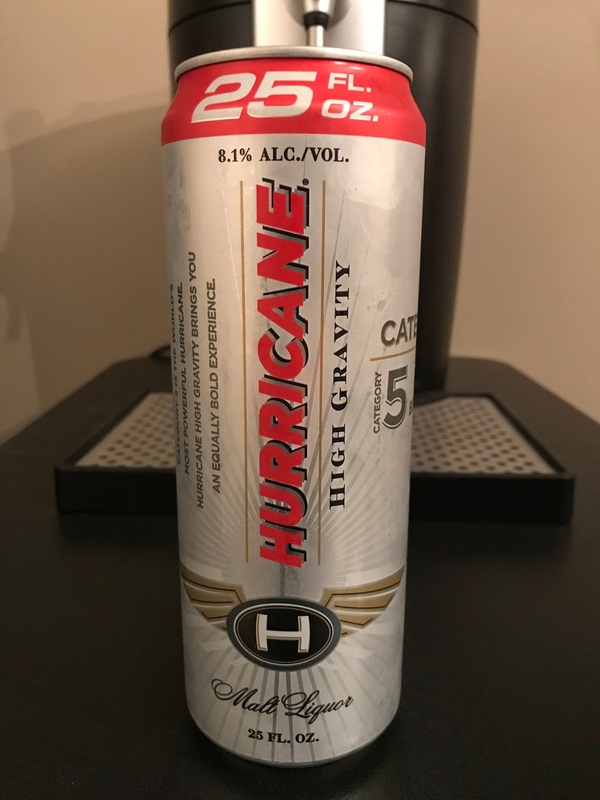 It's nothing to write home about, but Hurricane High Gravity will get the job done. 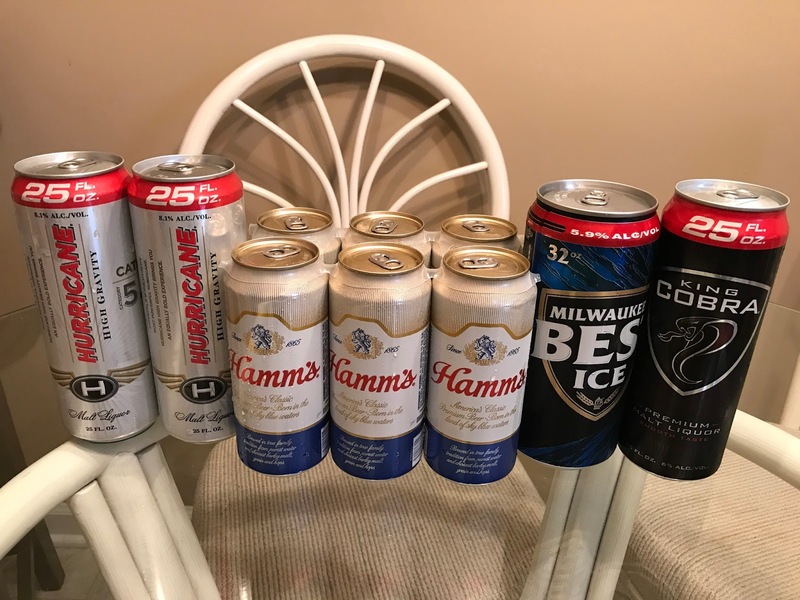 It has the classic malt liquor taste that goes down smooth. 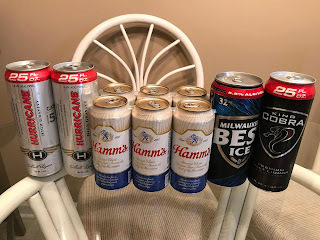 The more you drink the better it gets! Remember to keep your drinks flowing every Monday night at 10pm ET when Bumming with Bobcat airs LIVE on sfdradio.com and join the party! Can't be there when we air live? You can always give the podcast a listen in the archives! Cheers!